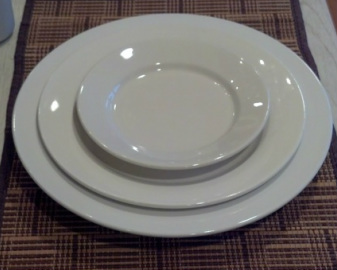 Price: .85¢ each The simple design of these dinner plates is perfect for any meal at any party. Take a look at our glass and flatware to complete your dining set. All china is sanitized before delivery.